This facility initially consisted of three separate buildings which each had individual and unique structural systems, electrical systems and floor elevations (among other things). Curtis Miner Architecture worked closely with the owner to rethink and redesign the flow and function of the buildings to accomplish his primary objectives. 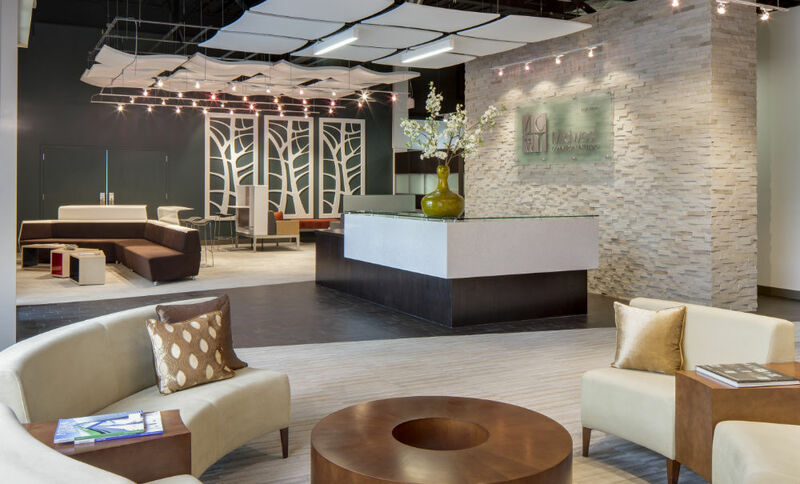 These objectives included repositioning the building entry to be closer to the main parking area, organizing the showroom into vignettes to demonstrate each furniture system, designing lighting and ceiling treatments to focus on each vignette, and improving the HVAC system to increase interior comfort. 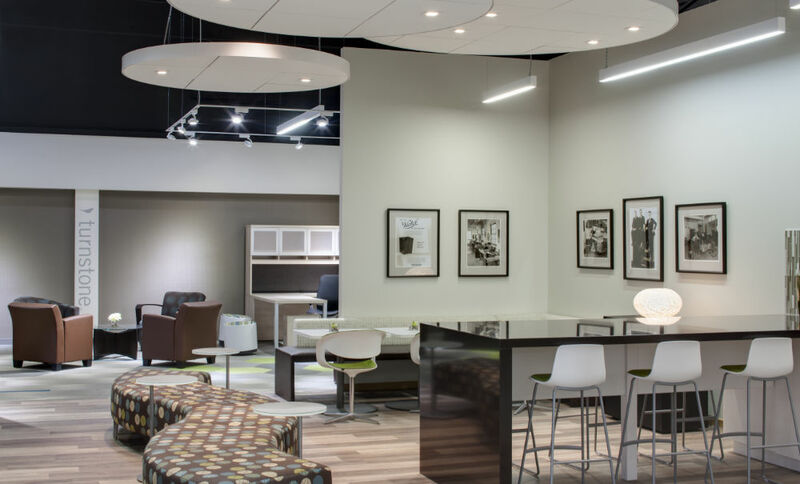 Now, instead of being a distraction, the new remodeled showroom allows the products Midwest offers to shine.